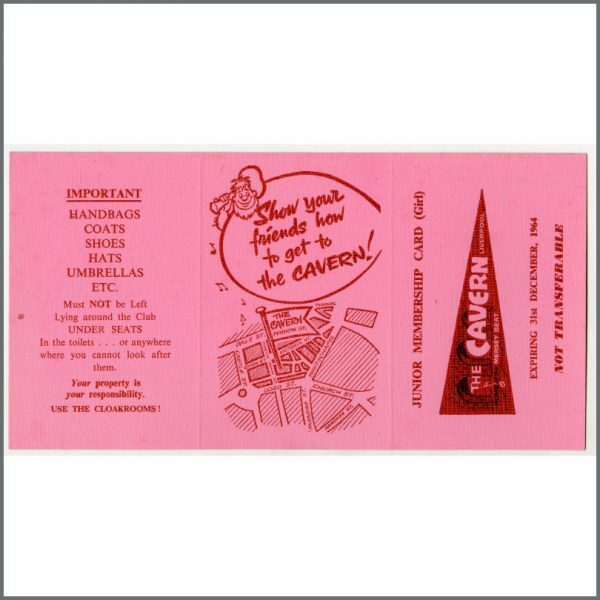 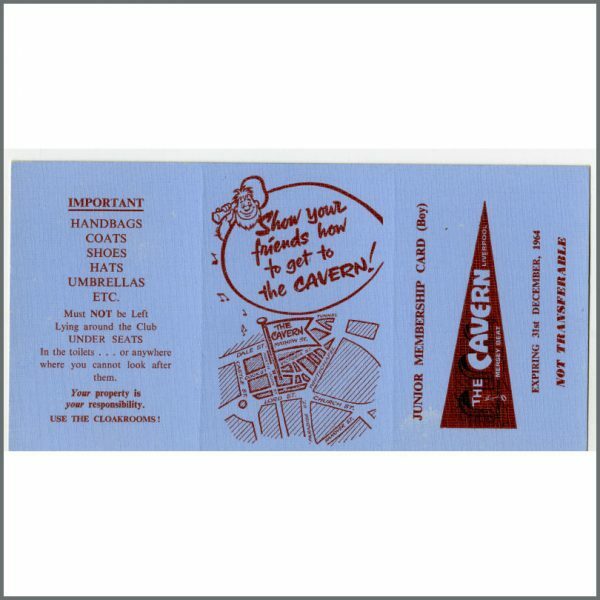 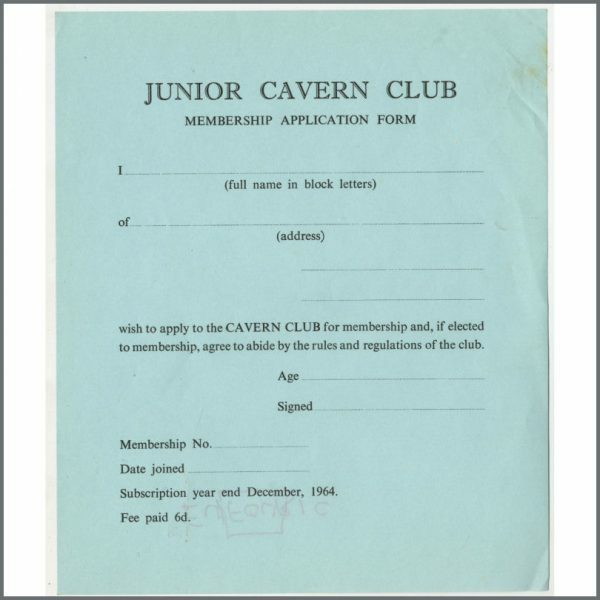 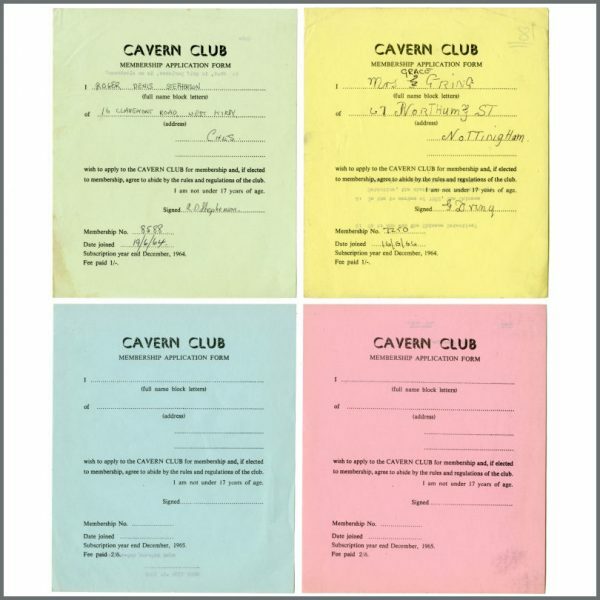 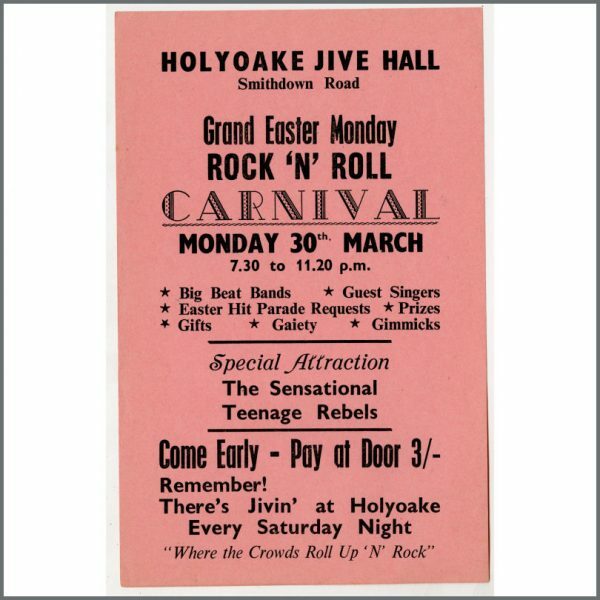 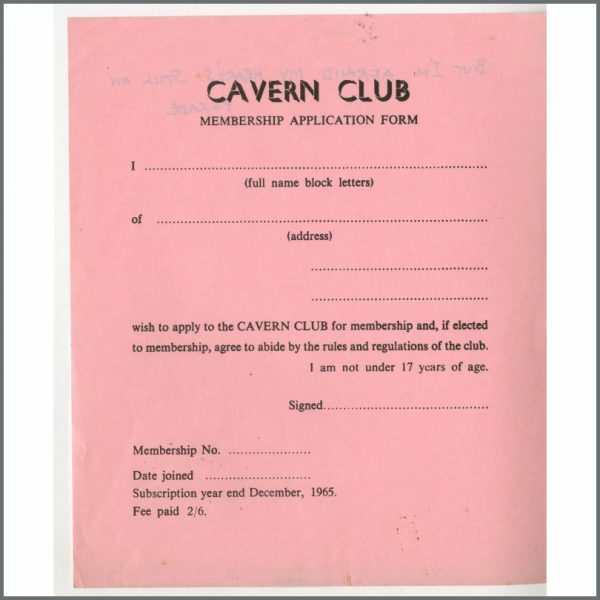 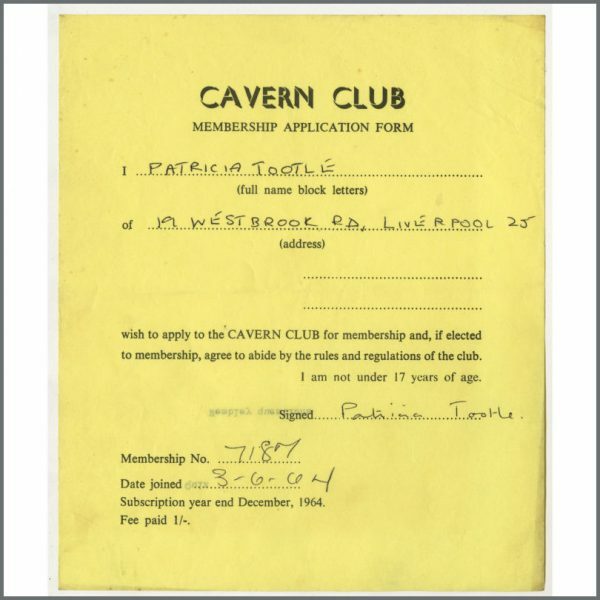 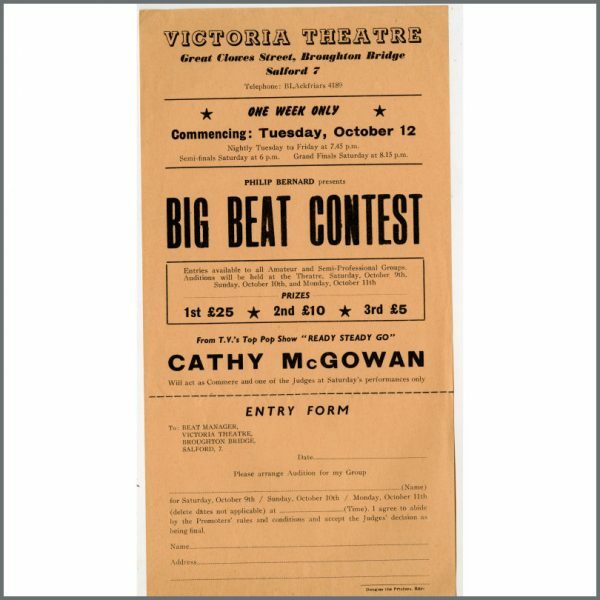 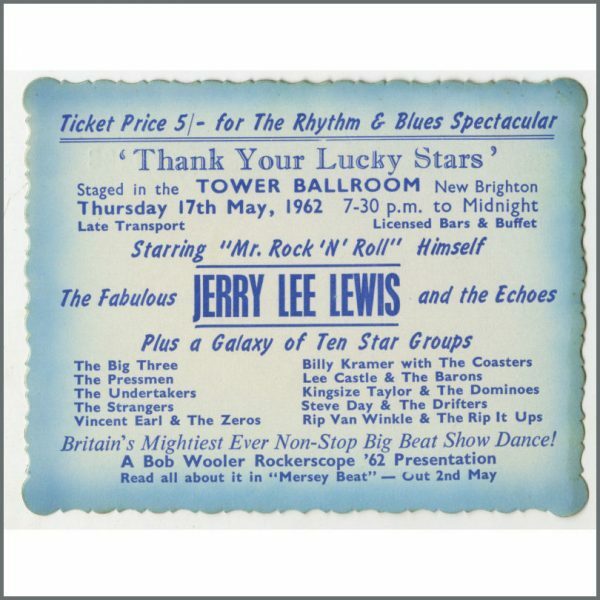 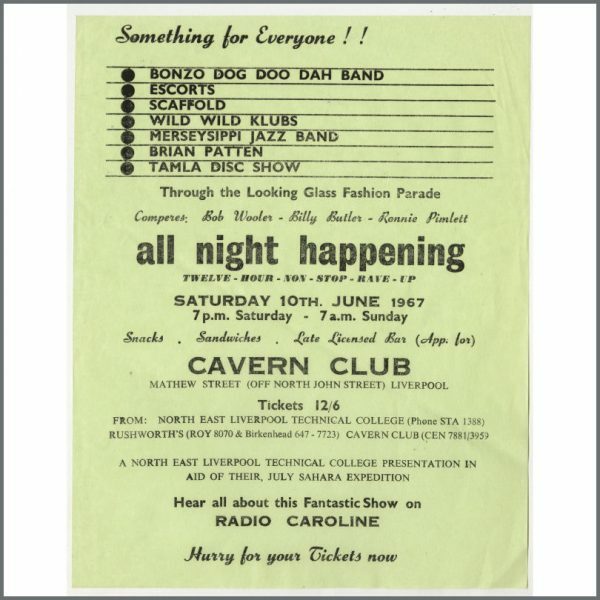 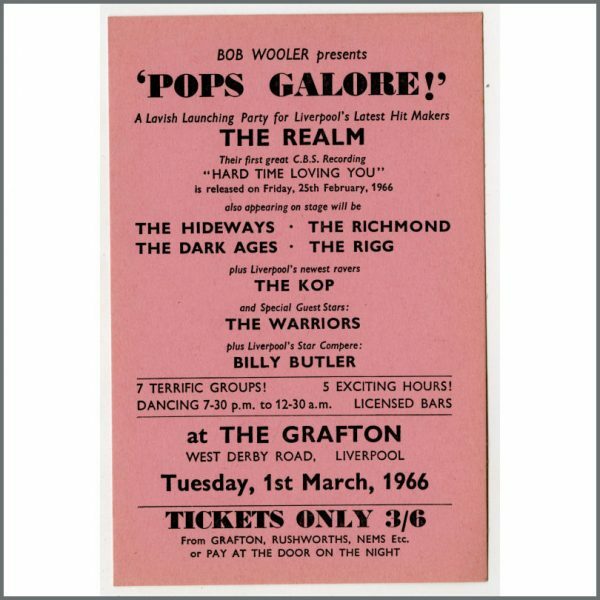 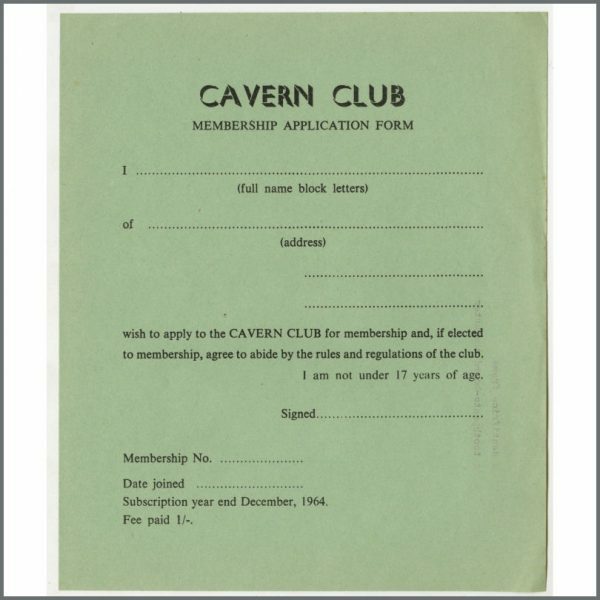 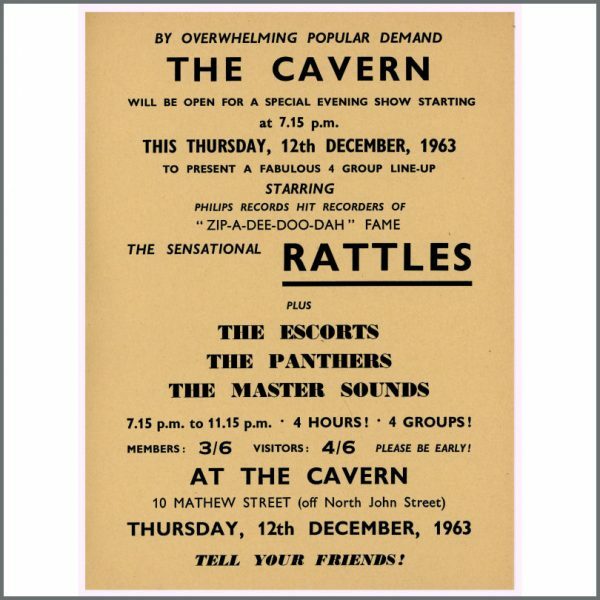 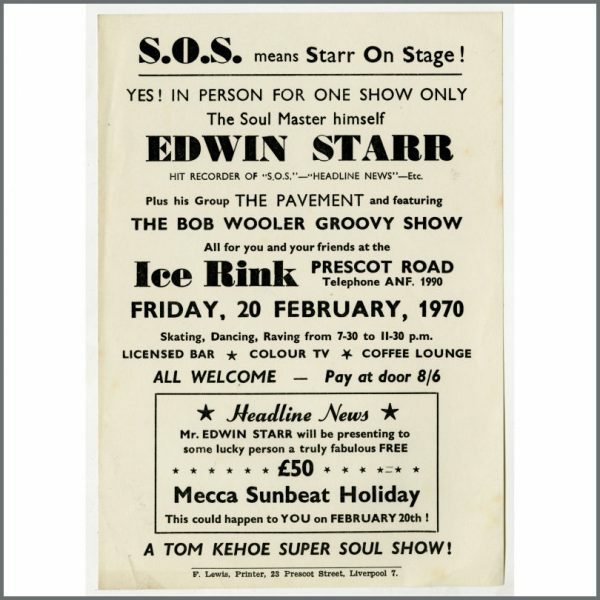 These items were part of the collection of former Cavern Club compère Bob Wooler. 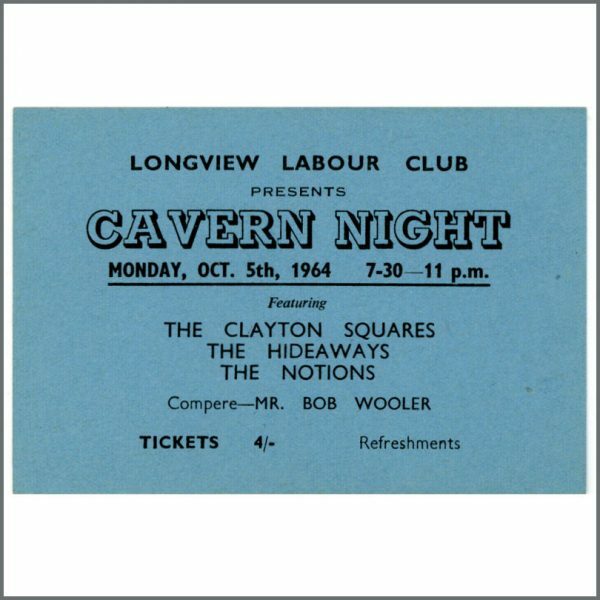 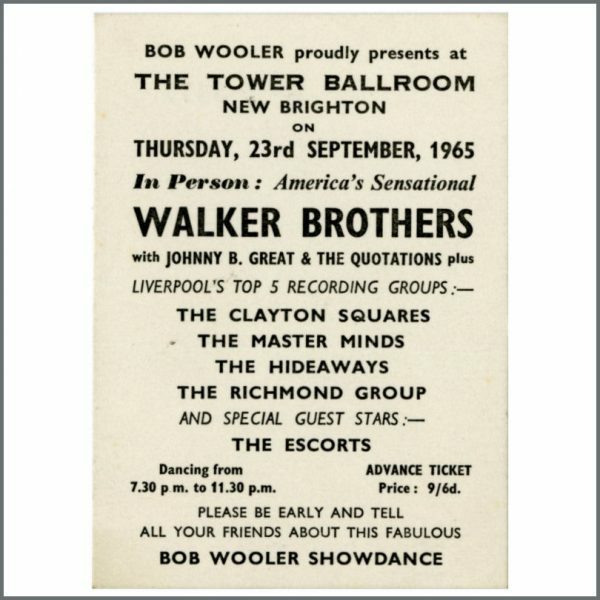 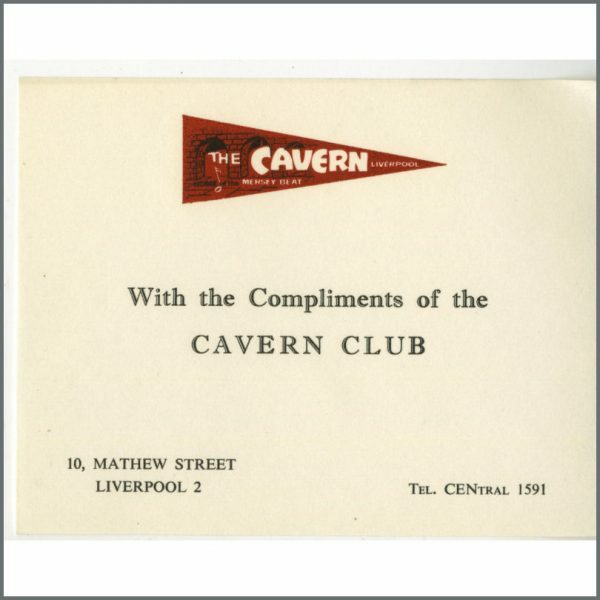 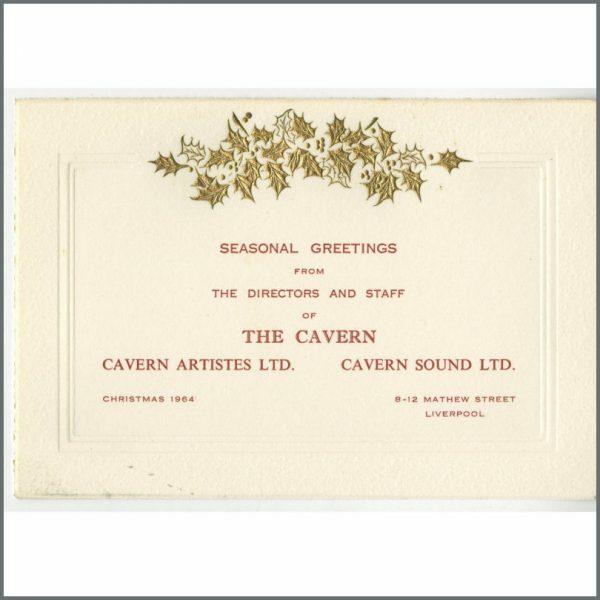 Bob Wooler is most notable for being instrumental in introducing Brian Epstein to The Beatles on his visit to the Cavern on 9th November 1961. 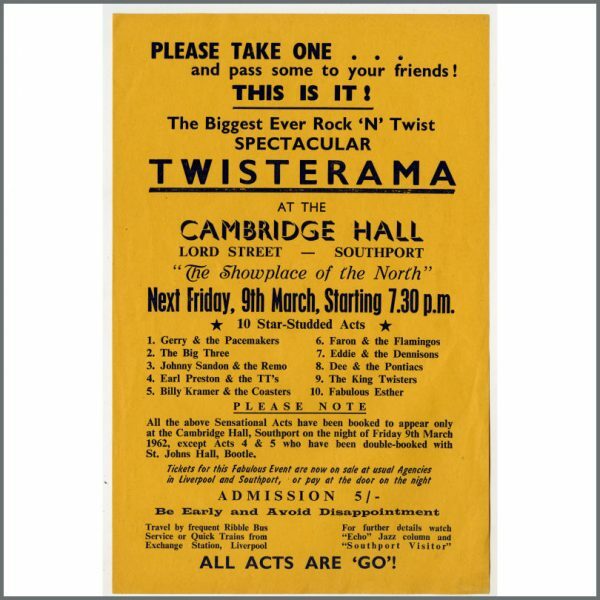 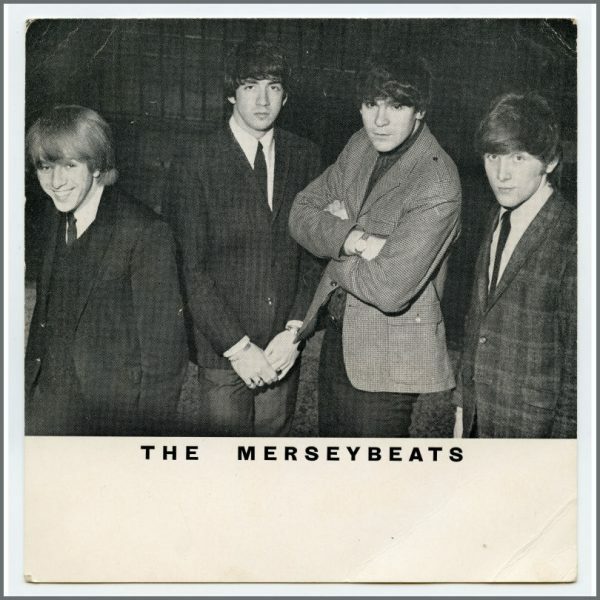 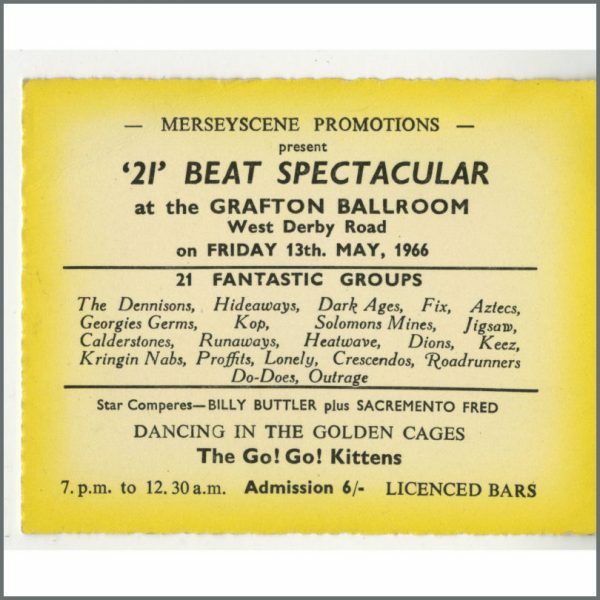 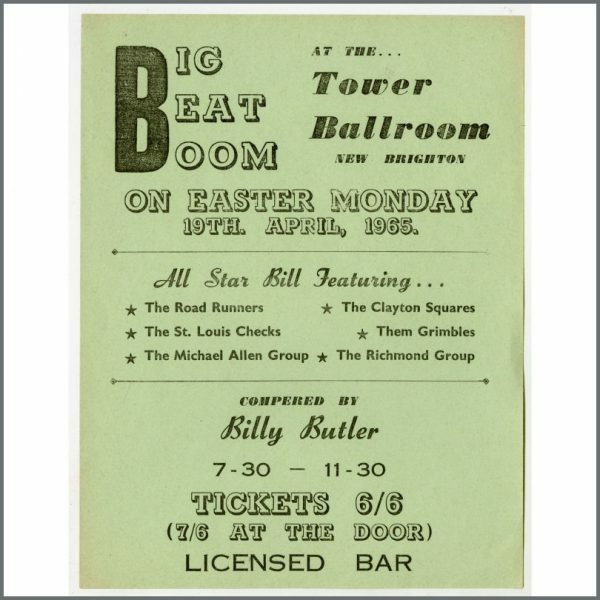 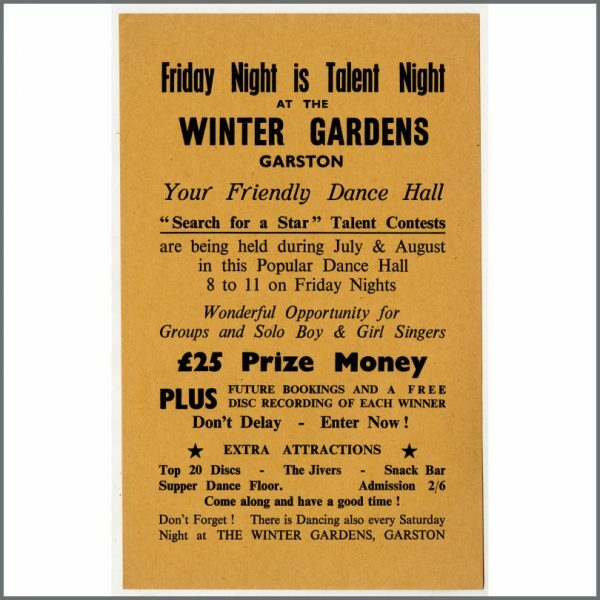 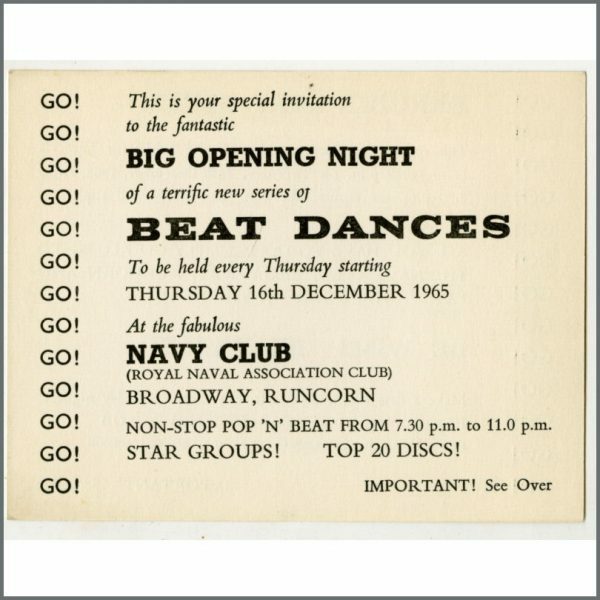 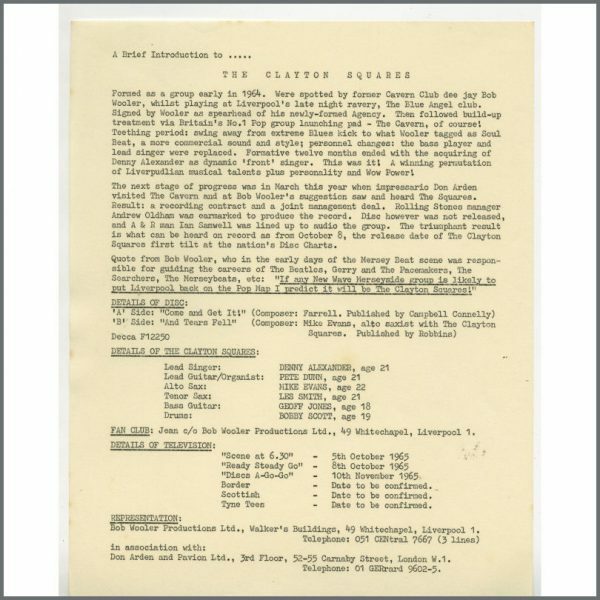 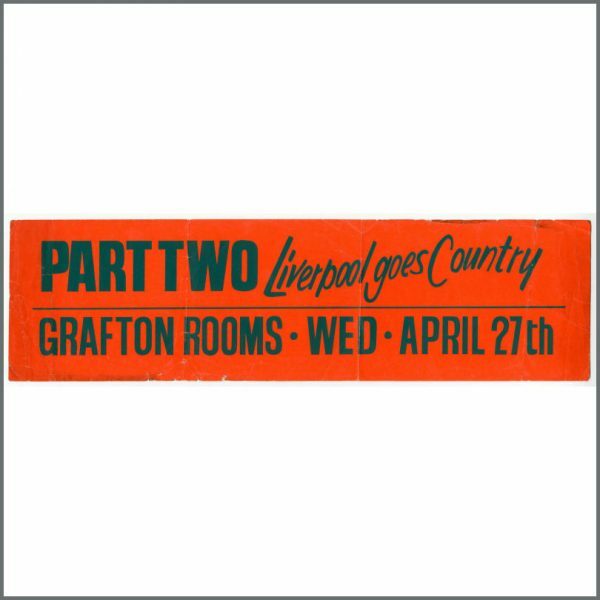 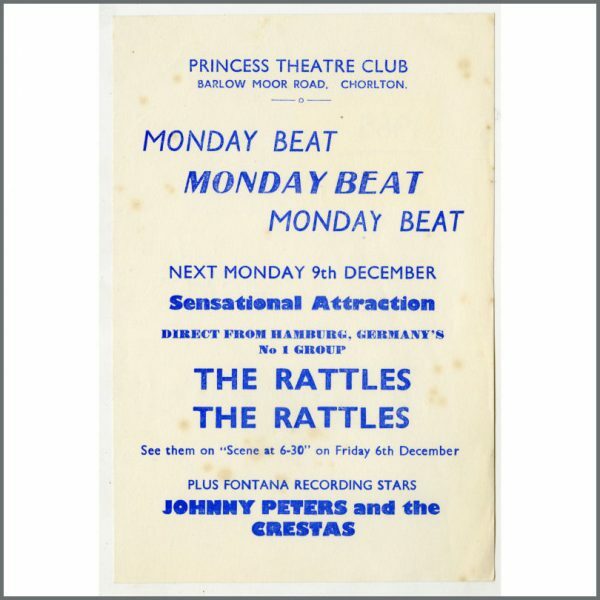 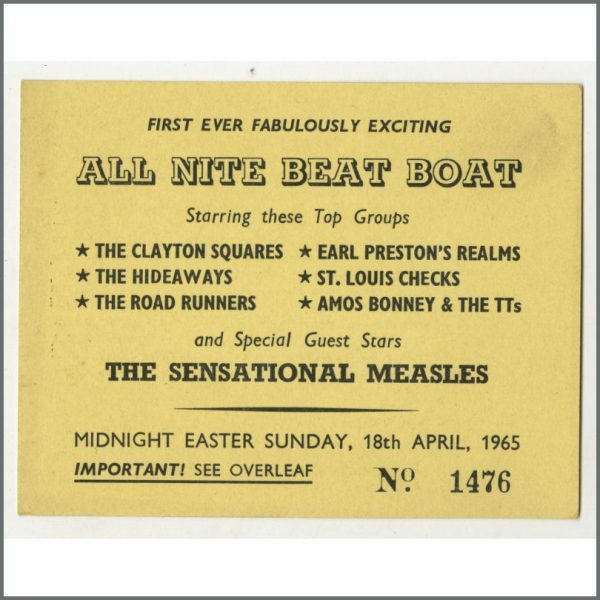 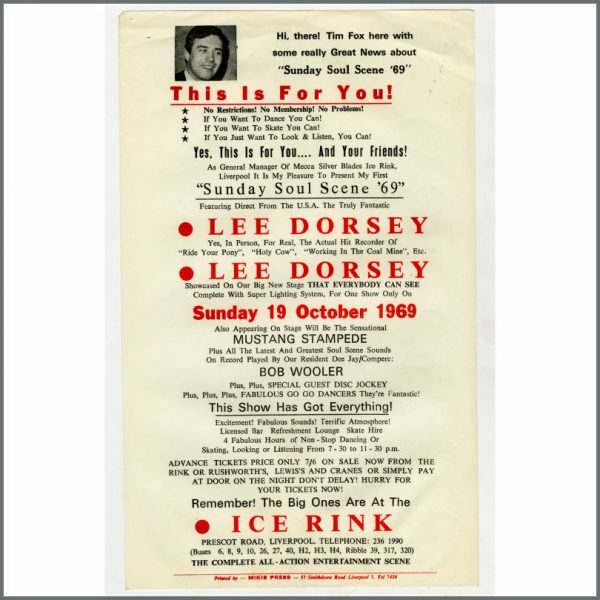 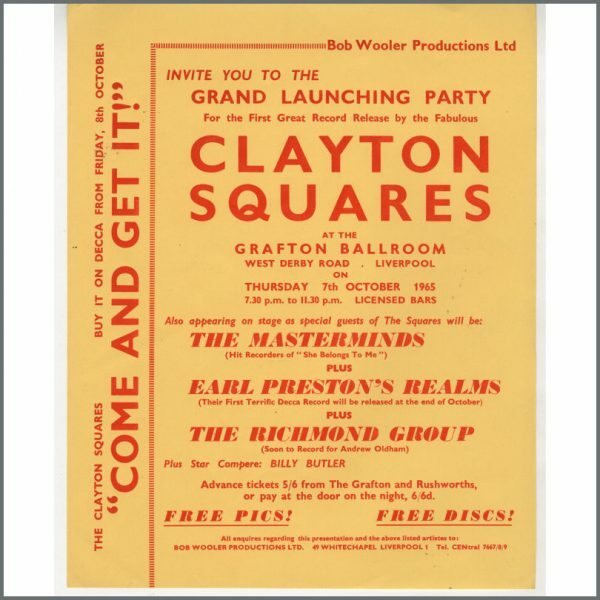 He introduced The Beatles on countless occasions during their 292 appearances at the club from 21st March 1961 to their last appearance on 3rd August 1963 and became a great local ambassador for the group, helping to develop and consolidate their popularity on Merseyside. 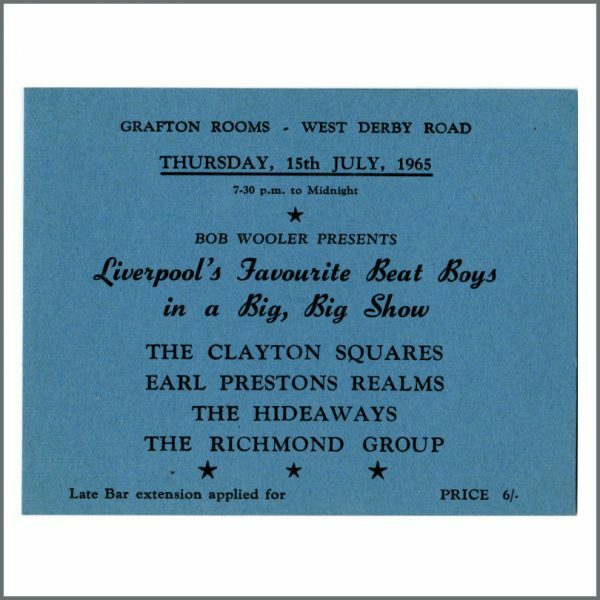 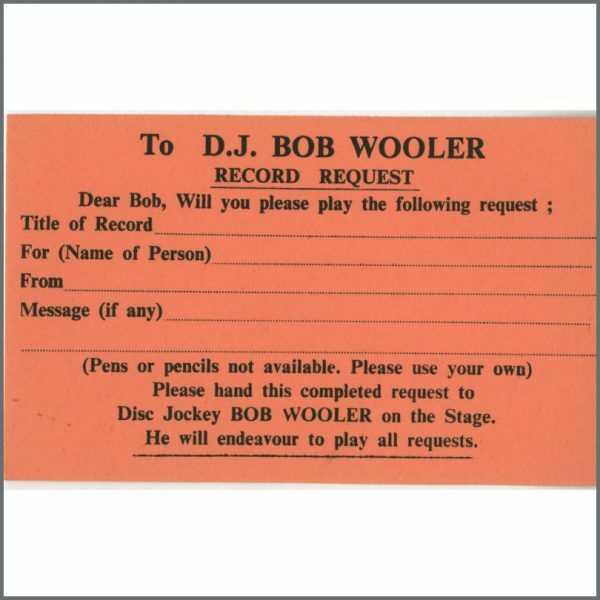 Bob Wooler died on 8th February 2002 in Liverpool. 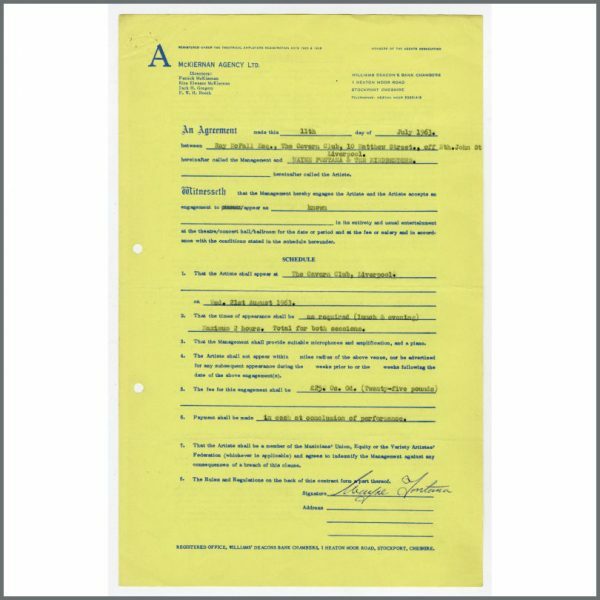 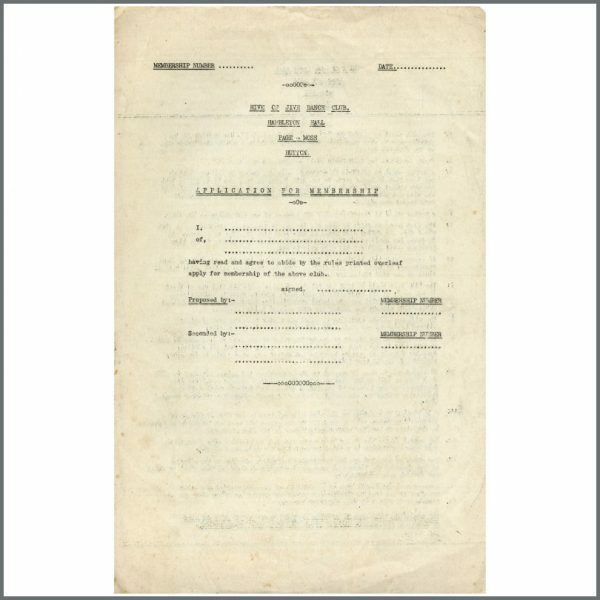 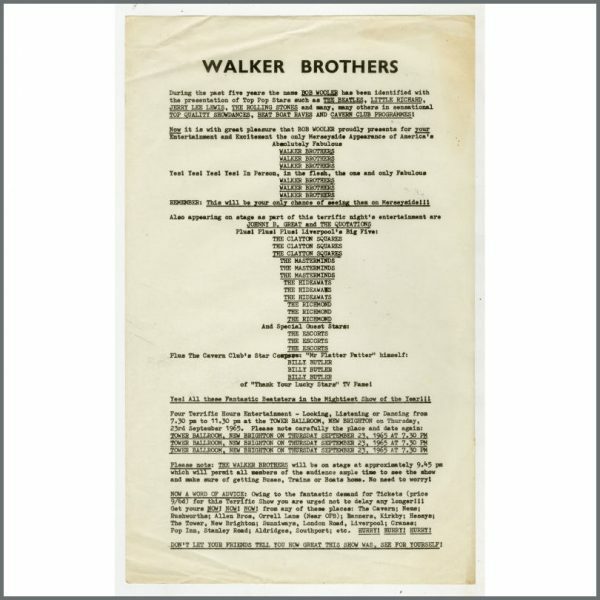 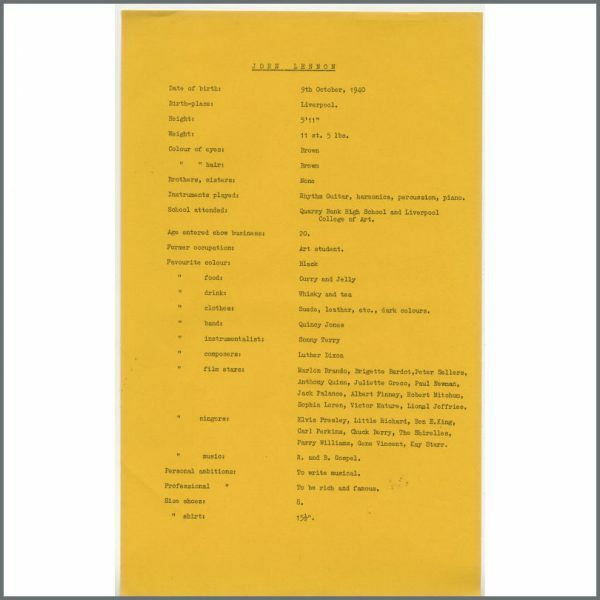 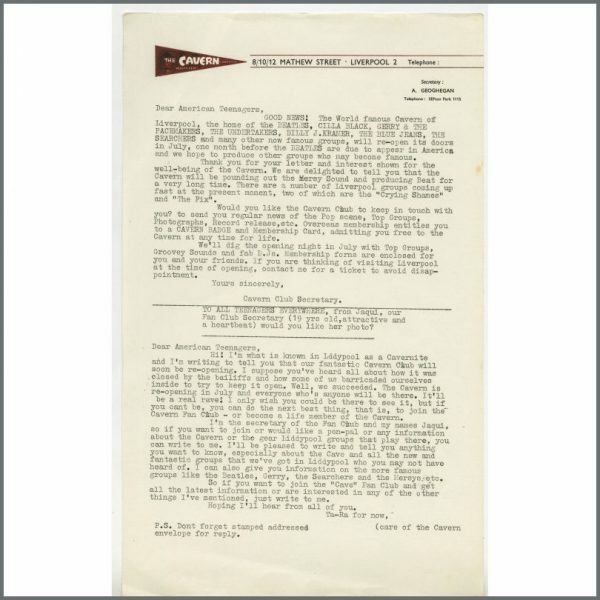 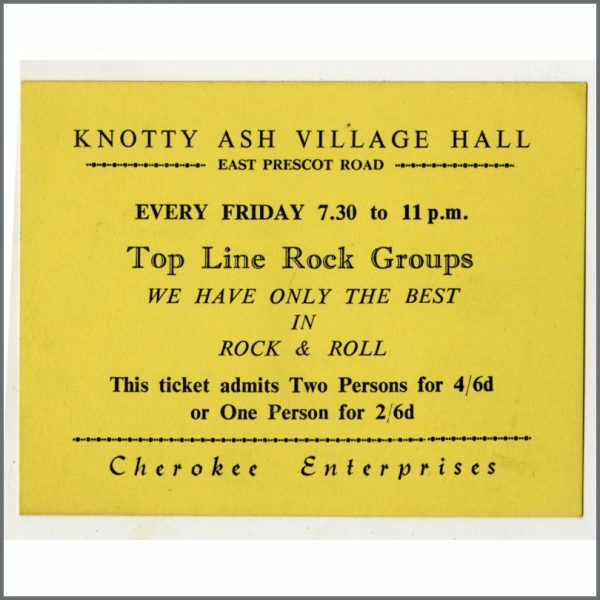 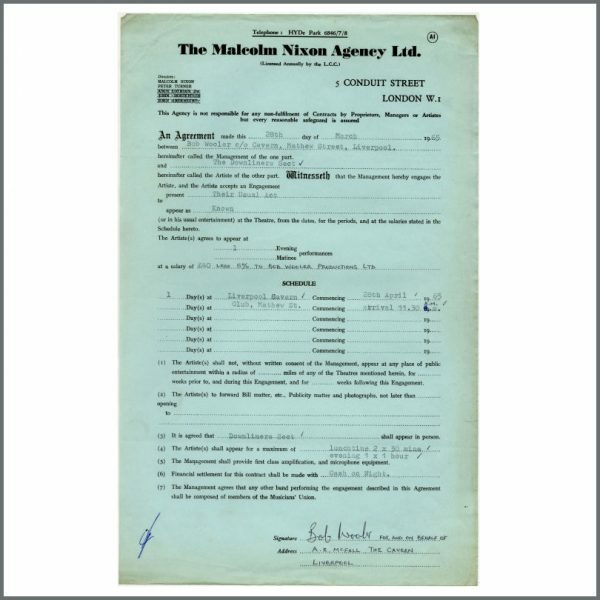 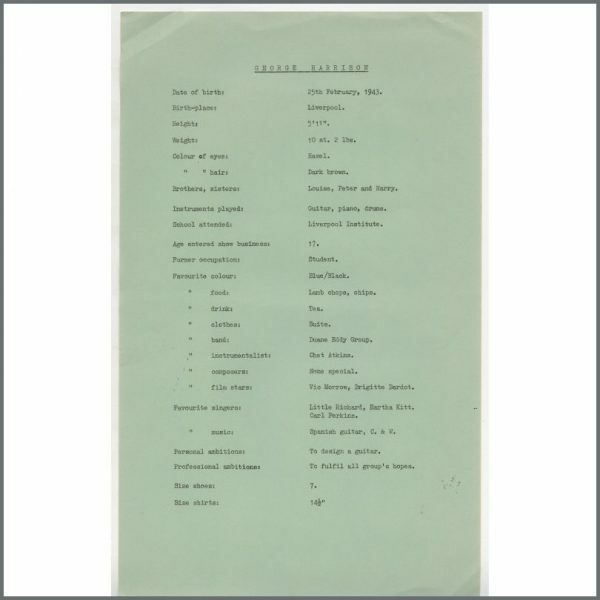 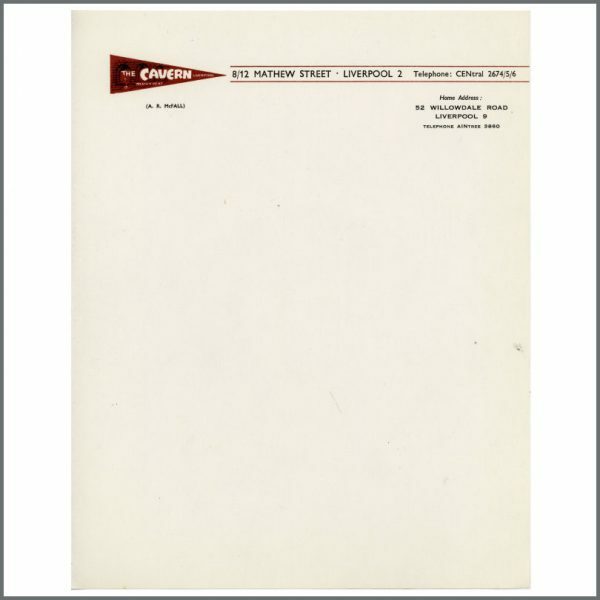 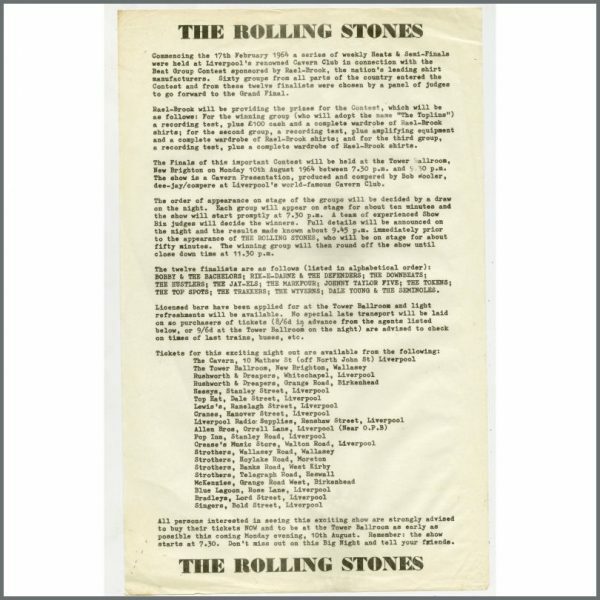 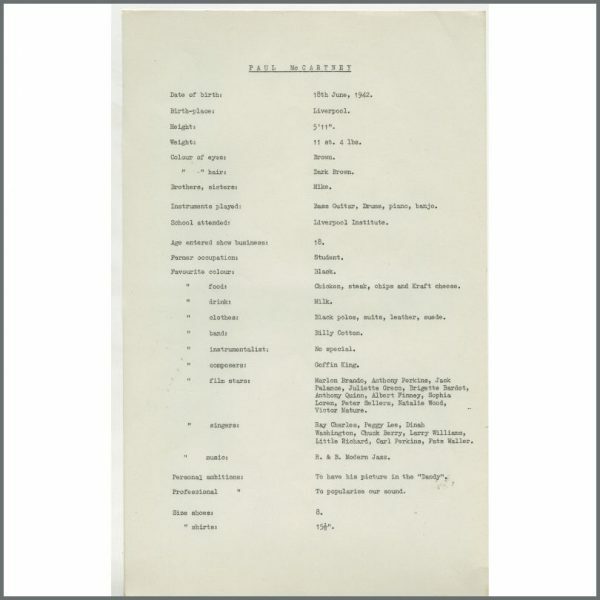 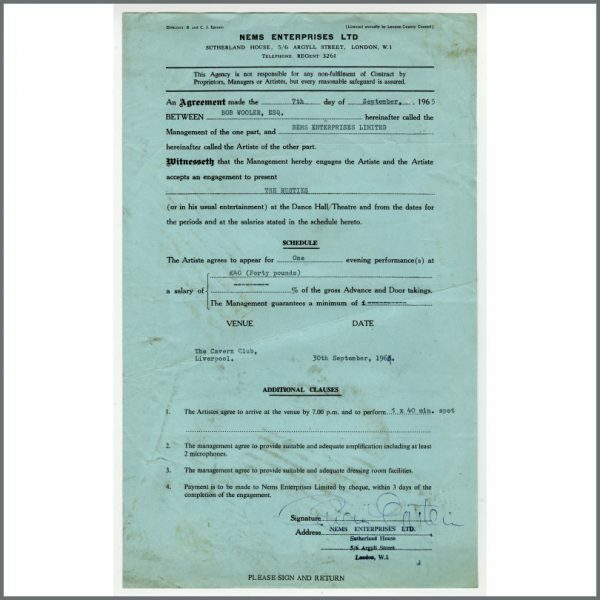 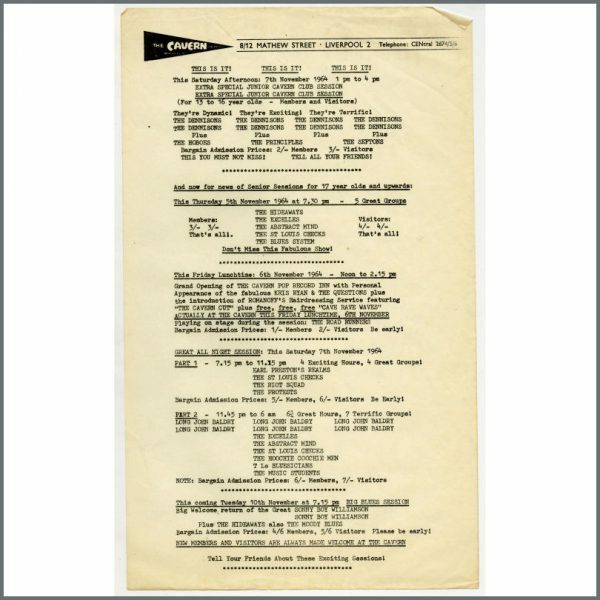 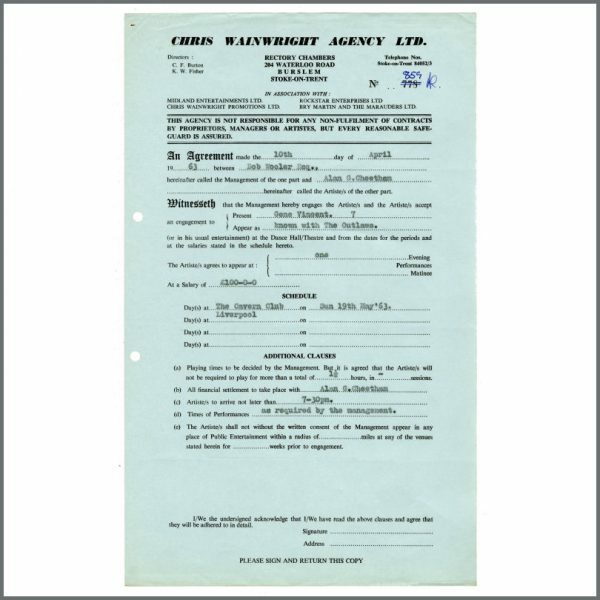 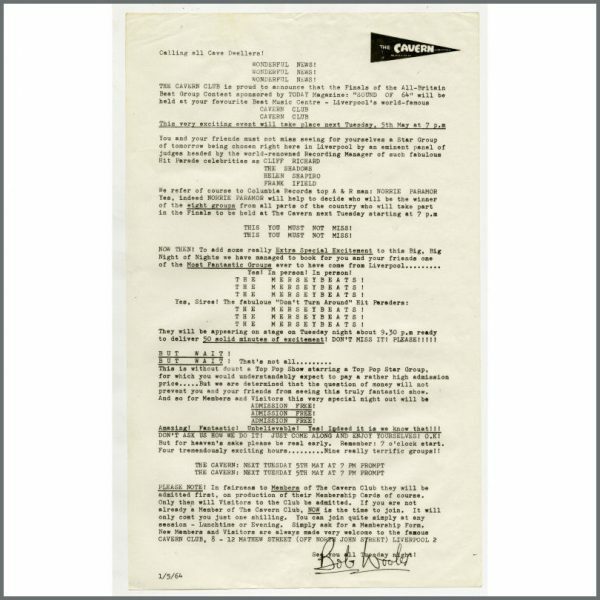 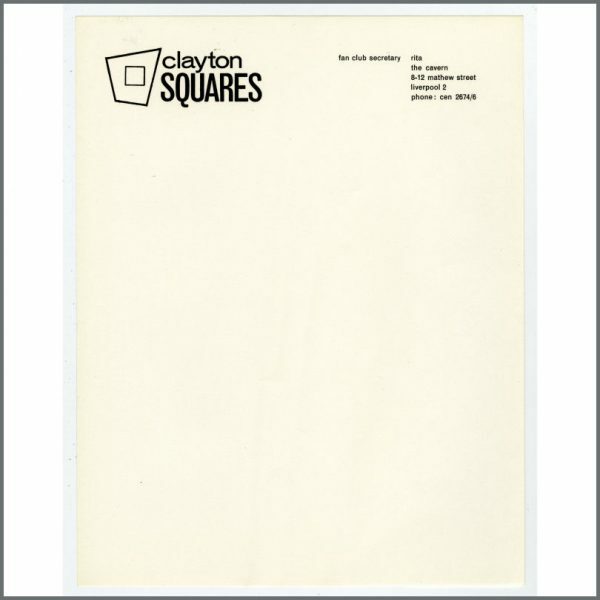 Each item is accompanied by a letter of authenticity on Tracks Ltd. letterhead confirming that it is from the collection of Bob Wooler.